Each year, the annual Satchmo Summerfest takes over the grounds of Louisiana State Museum’s Old U.S. Mint in New Orleans. This year’s event is scheduled from July 31 to August 2. 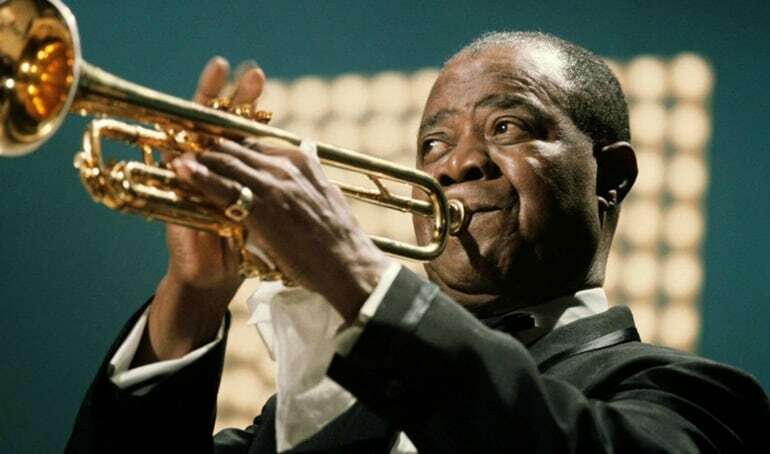 But beyond being a showcase for a variety of jazz bands, the festival is also a tribute to one of the city’s most famous native sons, the great trumpeter, bandleader, and singer, Louis “Satchmo” Armstrong (1901- 1971), whose 114th birthday is on August 4. If the music festival is a reminder of Armstrong’s enduring legacy, the venue itself also offers glimpses into the jazz icon’s life. A new exhibit called “Satchmo: His Life in New Orleans,” (July 31 through Jan. 15) is dedicated, as the name suggests, to the early years Armstrong spent in his hometown. A testament to his hardscrabble youth stands right in the center of the room – an old cornet Armstrong played at the Colored Waifs’ Home, an institution for troubled and orphaned children, where he was sent in 1913 for firing a gun into the air on New Year’s Eve. His life changed with the arrival at the Home of music teacher Peter Davis, who organized a band for the boys. Armstrong started to play the bugle and then the cornet—the one that is on display now. The exhibit also features Armstrong’s last trumpet, which, in contrast to the weathered cornet, gleans and shines. In a way, the two instruments represent the beginning and the end of Armstrong’s amazing career, during which he had influenced and inspired scores of other musicians.